YEREVAN, MARCH 23, ARMENPRESS. 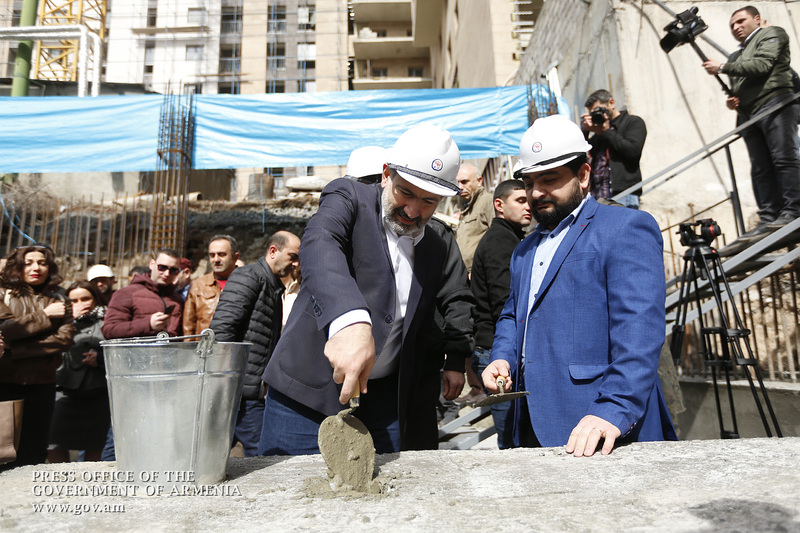 Prime Minister Nikol Pashinyan today attended the groundbreaking ceremony of the new building of the Sos Sargsyan Hamazgayin Theater in Yerevan. The event, however, took place with a delay because soon after arriving at the area the prime minister noticed waste and garbage nearby. He said he will not participate in the event in such conditions and personally took the shovel and began cleaning the waste. Yerevan Mayor Hayk Marutyan, actors of the theater and construction workers joined the prime minister, as today a nationwide community service day is underway. “Everything must be clean, you can’t come and stand in garbage and participate in a ceremony. We aren’t honoring Sos Sargsyan’s memory in garbage, the form is there but the content is not,” Pashinyan said. The PM and the Yerevan Mayor eventually participated in the groundbreaking ceremony, soon after the area was clean.